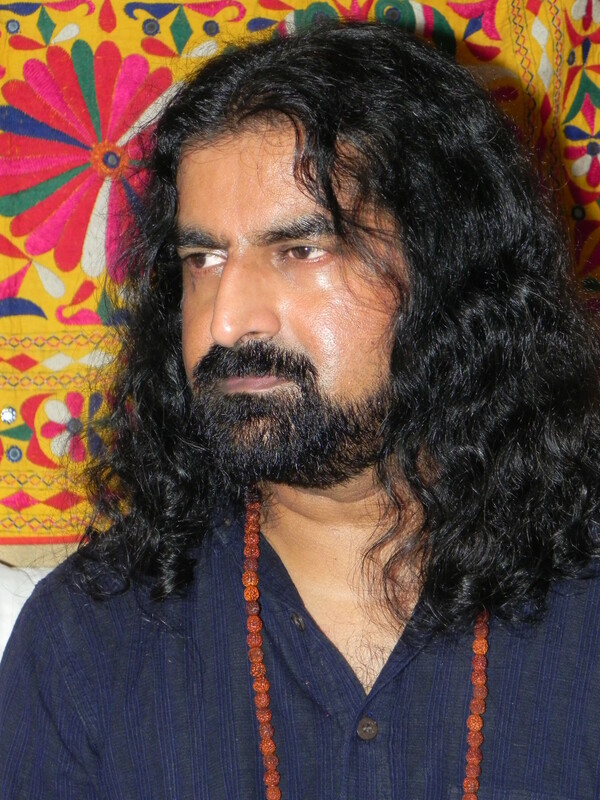 Sri.Sri. Mohanji, my sincere apologies to you for doubting you, as I write this for the sake of spiritual seekers across the world. Perhaps those who understand my mind will find the right answers and happiness. Many of you may have experienced the same thoughts. Those who stay with the superficial can’t be helped anyway. I request Mohanji’s team to kindly publish this, if you choose, without disclosing my name. Even now, I am surprised that I am doing this. I am generally a skeptical person. I am inspired by people like Ms. Sabrina Mr. Zoran and Ms.Palak Mehta who are bold enough to share their intimate life and the transformation that happened to them in the presence of Mohanji using their own name. I admit that many of us do not have your guts or conviction when it comes to Faith. I often feel that I am a pseudo spiritualist who only takes from everyone, and never gives. In fact many of the seekers of the world are like me. We live in a fake world with fake people. We are all here to take something from saints without wanting to give anything back to anyone. We are generally selfish people with a few exceptions. I am a rational man and never quite believed in God at most times of my life. I never quite believed in spiritual people as well because I considered that the God men who live in or visit our Delhi area are either criminals in disguise or con-men to power brokers for politicians. I believe we are not exposed to real saints who need nothing from us or at least they do not come to our part of the earth. Perhaps there are some real ones in isolated places. This is not about scriptural knowledge, this is about the true stature of the saint. I have always been skeptical about the whole Hindu religious structure with its multiple gods, many rituals and also because I was deeply disturbed by the class divides based on the caste system within Hindu life, which I strongly believe is held intact by politicians for the sake of votes. When I was doing my engineering, I realized that in addition to hard work, if one wants to be successful career-wise in India, one has to be born into certain specific castes. In a way, this divide has still left a scar in my mind. I strongly hate discrimination. The worthy should be honored. Thus disturbed, I decided to explore Christianity. I became part of a Christian group. However, as I became regular with them, what I saw were the clear apparent classes of the rich and the poor. The priests befriended me only for one reason – conversion. And I saw how they subtly manipulate our insecurities. Everyone approaching the places of worship is in some kind of trouble. They become fair game for conversion. They are either brought in by “agents”, whose deep display of benevolence is usually well appreciated by the depressed. They are also deluded in believing they have reached heaven and will not be discriminated anymore. Soon, after conversion, they are no longer needed by anyone. To stay in favor, they must bring more people for conversion. I also understood that conversions were associated with head counts and votes. Votes mean power. Position, power, manipulation… thus goes the story. I believed that Hindu system and Saints lack unity. Each saint isolates himself in self-created comfort zones. They fight wars with other saints. Thus, they maintain the class difference. After having seen it all, I decided that being neutral and aloof with respect to this mad world of religion was the right way of life. Spirituality is certainly good. Religion is not. Religion only amounts to divisions. Thus I had stopped searching and I was quite content with myself and all my deficiencies.Then one of my colleagues introduced me to the name Mohanji. I spontaneously Googled and discovered he is reasonably famous abroad though little known in India. My first thought was that perhaps he lacked a PR company to support him! When I first saw the picture of Mohanji, I was as usual quite skeptical. Another Guru! These guys are doing it for the money. Guru-dom is big business these days. I had approached many gurus during my college days and had paid huge bills for some group courses which changed nothing inside! I was not the least bit interested in Mohanji because I was reasonably prejudiced about Gurus in general! Our media always makes it a point to scandalize Hindu gurus for political gains. Then, I happened to come across Mohanji’s blog The Path of Pathlessness. I felt a lot of genuineness in his words and I got many answers. The next blog I read was The Power of Losing. I also found that quite interesting and genuine, as we have been indoctrinated to win! Thus, I read more and more, and gradually moved into the Mohanji Consciousness. After a few months of reading and digesting, I decided to attend his next program in Delhi. I waited. After a few months of waiting, he came. I attended his program. I was eager to hear him talk and interact. My mind still held some skepticism. I asked a few questions and his answers were straight and no-nonsense. In a way I liked it. He was definitely not trying to impress. He seemed to have his own experiences from where he was deriving the knowledge. There was no quoting of scriptures, no blaming other religions and there was no nonsense. He just said everything in a matter of fact way and left the place without any ceremonies. He seemed genuine. 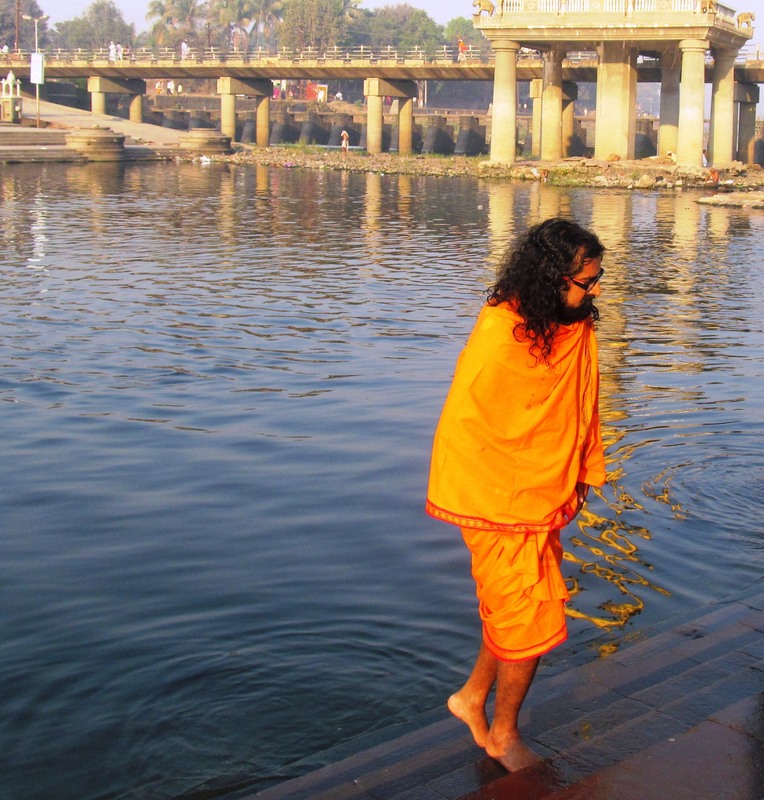 I chatted with one young lady clicking away at Mohanji with her camera, which he did not seem to notice, and asked her – What attracts you to Mohanji? She said, “He is genuine. He is fearless. He genuinely cares without expectations. 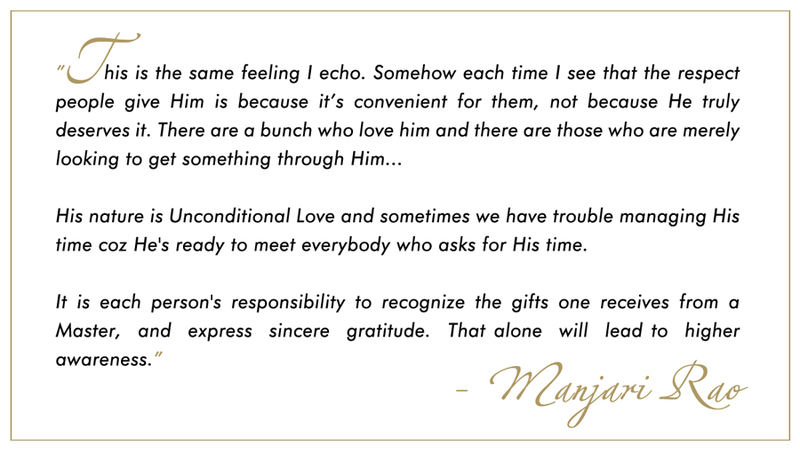 He is totally unconditional.” Later, as I chatted with another person, I learned much more about Mohanji than what we could glean from the blogs. He is married to a foreigner, he has a baby daughter, he has a corporate job, he earns his livelihood through work, he calls a spade a spade. He has even angered some of his close followers by telling them bitter truths about themselves or scolding them out of love. If he is bold and cares about truth more than relationship, then he is genuine. I always loved people who were truthful and straight. If he is so truthful, then he is definitely needed in today’s world of pseudo spirituality. The world needs Mohanji. Thus, my first meeting with him, of course from a distance, became a good memory and I developed the urge to be with him and associate with his movement. I found his team were mostly youngsters and they loved him as a father, brother, close friend with whom you can share anything and everything, or as a guide more than a guru. There was a sense of family-ship within Mohanji’s group. No hierarchical feeling. Moreover, Mohanji is on social networks such as Facebook, he takes calls, he answers mails himself, he is available to people without fees or barriers. He has no inhibitions, fears or apparent taboos. He encourages people to do dharmic business and feed the poor. He is concerned about cruelty against animals. He is against female feticide. I became more and more attracted to Mohanji and more than that, to his lifestyle. He seems to live his teachings. He seems to be active in business life, charity and spiritual life. He seems to have no inhibitions as seen from his pictures in various costumes and situations. A bandana and dark glasses for a guru! He has no frame, no image barrier! Good. Perhaps I have found my guide. 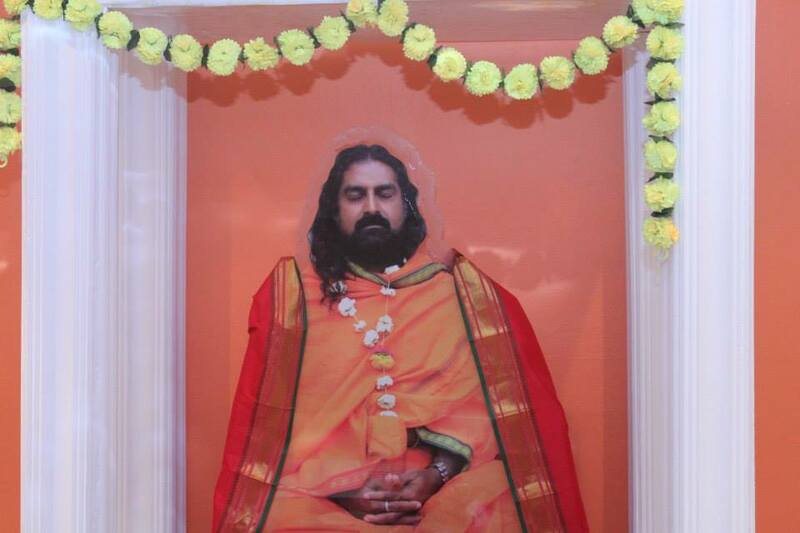 I still wanted to take more time though before addressing him as my guru. I was still not sure. Then, I heard most people calling him father in Delhi and that suited me too. In November 2013, Mohanji’s charity institution Ammucare conducted a concert in Delhi for Autism awareness. I felt inclined to support that in my own way because I found genuineness in the eyes of the young team members. There was deep love for Mohanji and for the mission in their hearts. These youngsters were ready to do anything for him. And they call him their father. There were no barriers. I started liking it. At that time, I heard of an accident involving Mohanji’s young daughter. 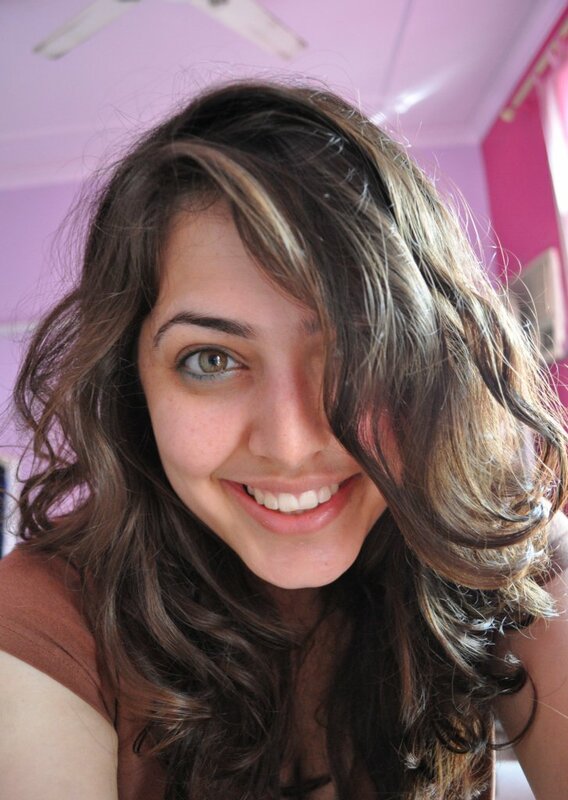 She suffered an 18 foot fall and had head injuries and hemorrhage. It was very serious. His wife also was injured in her head. Suddenly, a gloom spread over the whole group and there was a rumor that the concert would be called off. I thought, “How can that be? 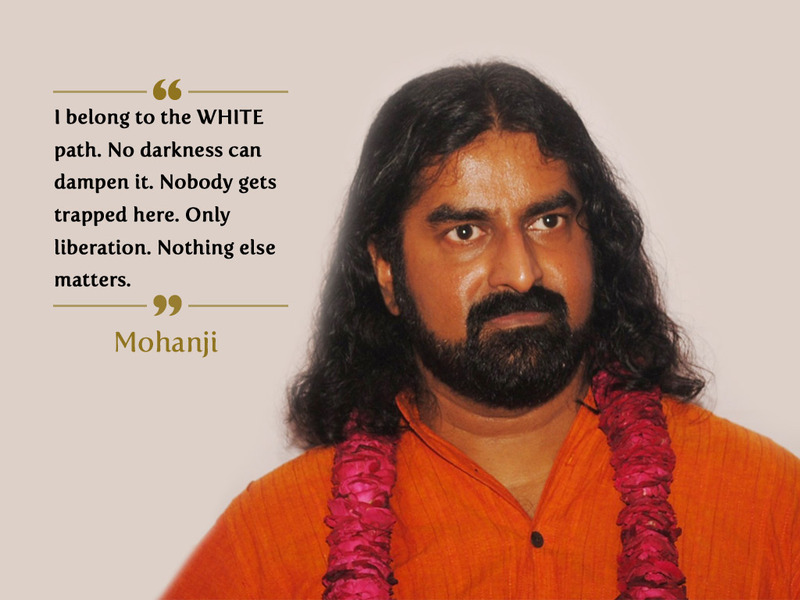 If Mohanji is living his teachings, he will not permit anything to stop. How can a personal matter affect a mission matter?” I felt inclined to visit the hospital. Again, my skeptical mind was in action more than any sympathy. I deeply apologize to Mohanji for any mistake I committed in my mind in this regard. I know Mohanji never judges any person and loves unconditionally. So, I have no guilt in me. When I reached the hospital, I must admit I was quite surprised. The first thing I saw was an unconscious Mila (Mohanji’s daughter) and Mohanji sitting next to her bed, his hand on her head, in deep meditation or communion. There was deep peace on his face. A few people were around the bed. Mohanji sat there for a few minutes and got up as Mila was taken away for examinations. Mohanji was behaving with everyone as if he would otherwise. No anger, no anxiety, no fear and no emotions. He even had a smile on his face. His face calmed everyone. As I was leaving, I heard one person talking about the concert on the phone, perhaps to a concerned volunteer. “The concert must happen. Mohanji said “the show must go on”. Well. My question was answered. Mission is beyond the man. I visited the hospital twice. Both times, Mohanji’s face was calm and free from worries. I watched him from a distance. I could never imagine myself being like this, if something should ever happen to my children or my wife. Mohanji’s wife Biba was also injured and was in the ICU of the hospital along with Mila. It was indeed an uncomfortable situation. Many people visited the hospital. And many people called Mohanji, offering money and support. He was thanking everyone and refusing offers of all kinds of support. I also heard some people complaining that they were not informed about the accident. I felt amused by this comment. If this happened to any of their family members, would they sit down and start calling people or would they sit in prayers of healing? I was totally convinced. Mohanji lives his teachings. His inner peace was reflected in his outwardly expressions. If it was not so, panic would have reflected on his face. 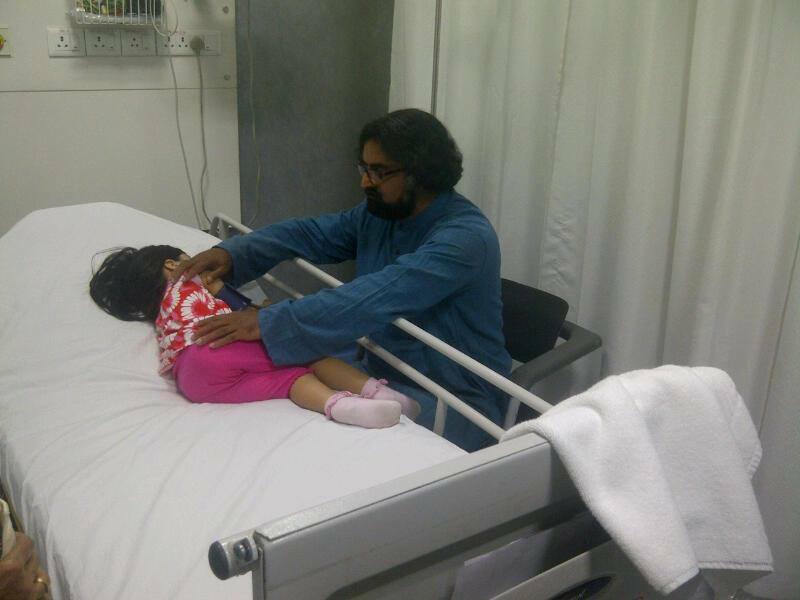 His own little daughter in ICU and he was absolutely calm! A clear sign of walking the talk. It is easy to preach theories. Most gurus of today are unmarried. They have no children. They have no domestic responsibilities. 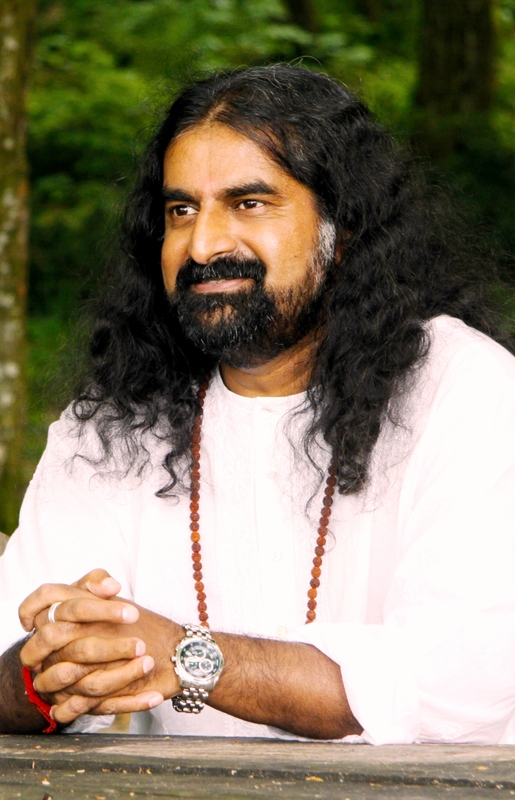 Here is one guru who is terrestrially just like us, but, clearly above us in consciousness. I felt totally blessed. This incident and my visit to the hospital changed me so much, much more than any speeches, meditations or books. I had to see the practical side of a true guru. I had to see the truth. Here was the truth. I must add that Mohanji’s followers who were gathered at the hospital also displayed absolute calm and purpose. There was no panic. There was total dedication. More than dedication, there was genuine love and care in their eyes. No wonder Mohanji calls his people, family. The family-ship was visible. Also, there was no over-emphasis of the situation nor any attempt to take undue advantage of anything. The hotel employees of Oberoi where the accident happened told me that, Mohanji and the whole group were perfectly elegant. They had offered rooms to stay in, and many other services but, nobody used anything. A true guru never wants anything nor will he take advantage of any situation in a selfish way. I think I have written too much. My name or identity does not matter. Mohanji says that we must be fearless and egoless when we deliver the truth. Truth will protect us. Though I understand this, I come from a very orthodox, skeptical family and so would like to keep my identity confidential. However, I want the world to know about Mohanji, the way I have seen him. He is a true master who walks his talk. The biggest test would have been that concerning his own child, especially since he has gone through many personal pains in his past. He remained totally calm and elegant even during a deep crisis of this kind. I compare it in terms of my own state, if it were me in that situation. A crisis tells the truth. What brings forth this equanimity? Total faith. Total conviction in the tradition and God. Total faith in oneself. This one lives his teachings. Mastering crisis. He walks his talk 100%. I sincerely apologize to any of Mohanji’s followers who may be hurt by my bold statements. I was inspired to write by all those who are bravely sharing their own experiences through Mohanji‘s blogs. More than anything, I am writing this for myself. Mohanji does not need our certificate or appreciation. But, we need these sharings to further our own conviction. The world also needs our testimonials. Many are searching for the right guide and the right path. Our words and testimonials may help someone. We are all pieces of the puzzle. Every fragment has importance and relevance. Four years ago, I was online searching for something about Mahavatar Babaji, when my search led me to a blog of a gentleman then named Mohan. I read with great interest his stories which were simple yet impactful. I even copied all blogs to a word file so I could read it while travelling. Four years later I was again searching for something regarding Sri Sathya Sai Baba, and I was led once again to the same gentleman, now known as Mohanji. His words, as ever were simple yet penetrated the confusions of the doubting mind and hit home. A few months ago, something drastic happened in my life for which I desperately sought understanding. My mind would often go to Mohanji and I wondered if I could meet Him. Something led me to His website and therein to my surprise I found that He was no longer travelling abroad but was currently in Delhi, India. I made plans to go there, yet I wasn’t sure about travelling all the way, as I was already travelling a lot and also had plans to visit Arunachala. I did not get the answers I sought. Perhaps I got what I needed. A few days later I got another opportunity to meet Mohanji in Bangalore. We had wonderful satsangs here, with Mohanji answering patiently many questions posed by sincere seekers. I am writing this note to share an interesting experience that happened while I was with Him. I had the good fortune of joining Mohanji when he went to visit Devi Amma in Whitefield. After the visit we all started for the Brindavan ashram of Sri Sathya Sai Baba, much to my delight. 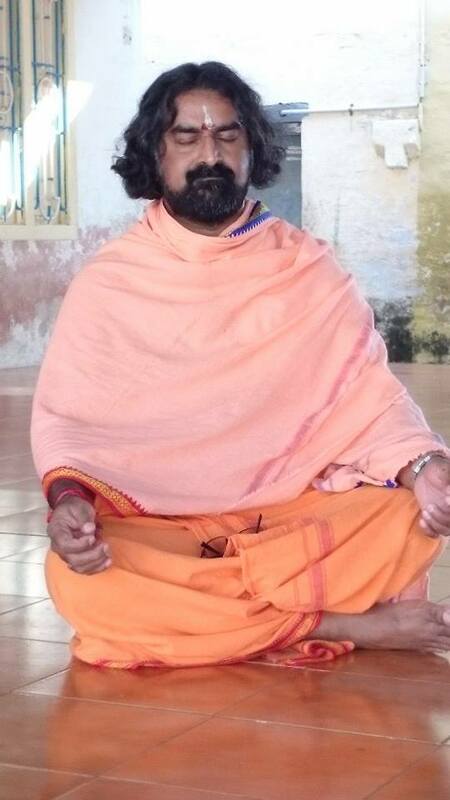 I have had the good fortune of serving in Swami’s residence in Brindavan and consider it my spiritual home. When we reached there, I went to meet a certain member of the administration to seek permission to take Mohanji inside Swami’s residential campus. My contact there told me that he was at a meeting and would be out in a few minutes. It took longer then a few minutes. While I was waiting anxiously, I decided to practise what Mohanji had spoken about the previous evening – To be objective – To be a witness. So I thought to myself, “ Swami, Mohanji is Your guest. I am only trying to do good. Why must I be anxious!”. And so I let go and went towards Mohanji. After we had looked through the darshan hall, I suggested we go towards the gate of Swami’s residence from where we could see His dwelling place. Mohanji was not surprised, but smiled at me and said, “ Keep your awareness, you will smell it again!” I doubted that; not because I did not believe in Mohanji, but because I was so excited, that I felt in my excitement I would not be able to register the subtle grace in form of the fragrance even if it were to come again. 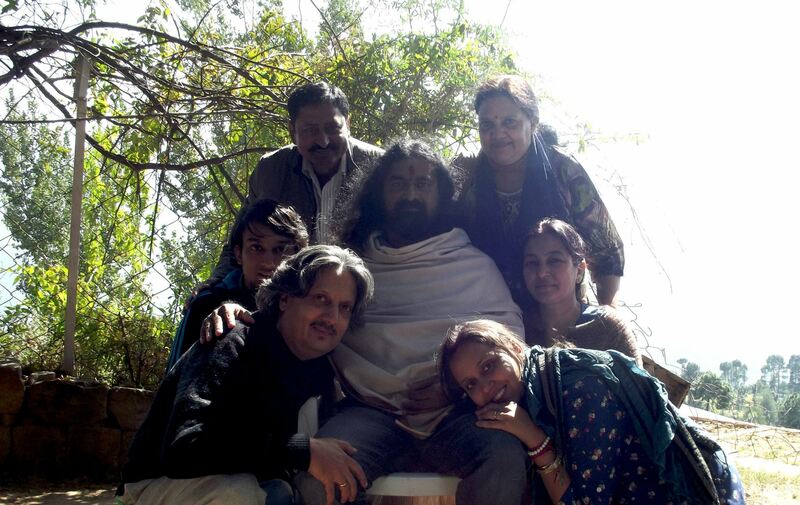 We continued talking and moving out of the ashram. As we stood by the gate speaking with Mohanji, I mentioned how I had tried to connect with a Sai brother to help us go inside the gate to Swami’s house. Mohanji said it was unnecessary as He felt the presence of Swami all along. It was then that again the same divine fragrance of Swami filled my senses. As I registered shock on my face, Mohanji smiled. “ I smelled it again” I said. I have been connected to Mohanji for a couple of years now and have stayed close to him. There is no decision I make without first consulting him energetically or in person. I trust him completely and wholeheartedly. However, I constantly struggle with the true meaning of Surrender. I have been through various stages of “surrendering” to Mohanji. First I used to say that I was surrendering, and meant to surrender, but I was always engaged in trying to control the outcome. This was quite perplexing when things didn’t go my way. I then graduated to surrendering the problem to him and trying to work out all the potential outcomes and preparing myself to accept any one of those outcomes. Of course, in typical Mohanji style, the final outcome would most likely be the one that I had not thought of at all :). I also had another conflict. The saying, if you do your best God will do the rest is ingrained in my memory. So what is my part? How far should I go? Is this the best I can do?… The mind was working overtime challenging me. I had a case of analysis paralysis. 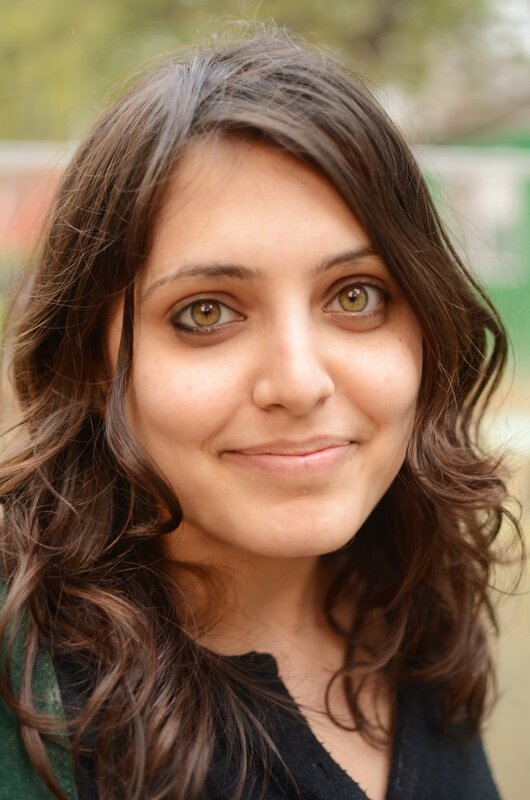 Until…..
One day I had a casual conversation with Sumit. In the conversation he said, ”Didi…the way I operate…with Mohanji…I am irrelevant”… He repeated this multiple times during the course of the conversation. Although I didn’t make much of it at that time, I casually started to apply the principle of “I am irrelevant” to my everyday activities. This completely changed my perspective on everything. I stopped sweating the small stuff and everything seemed like small stuff. Praises and Kudos didn’t get to my head neither did snide remarks…..because…. This, my dear friends, is the most liberating feeling. I encourage everyone to practice this and surrender will happen naturally. 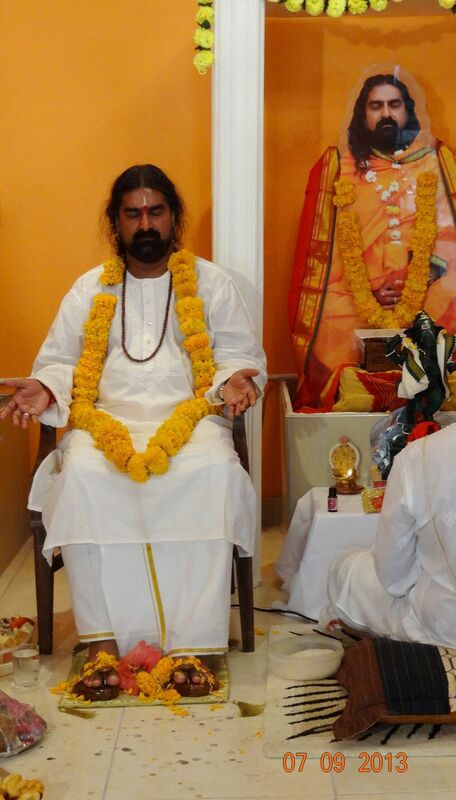 The Merudanda Ashram, situated in Durban, South Africa is a small but growing temple dedicated to the Divine. The principle deity is our Guru, Shree Rajayogi Mohanji. The temple is a place where everyone is welcome, irrespective of caste, color, race, religion or gender etc. In the eyes of the Divine we are all one, we are all eternal beings of light. The temple is blessed with the presence of many deities and we will be installing deities in rare forms. Soon we will be welcoming Shree Mahamritunjaya, Shree Bagalamuki and Lord Bhairav to the temple. 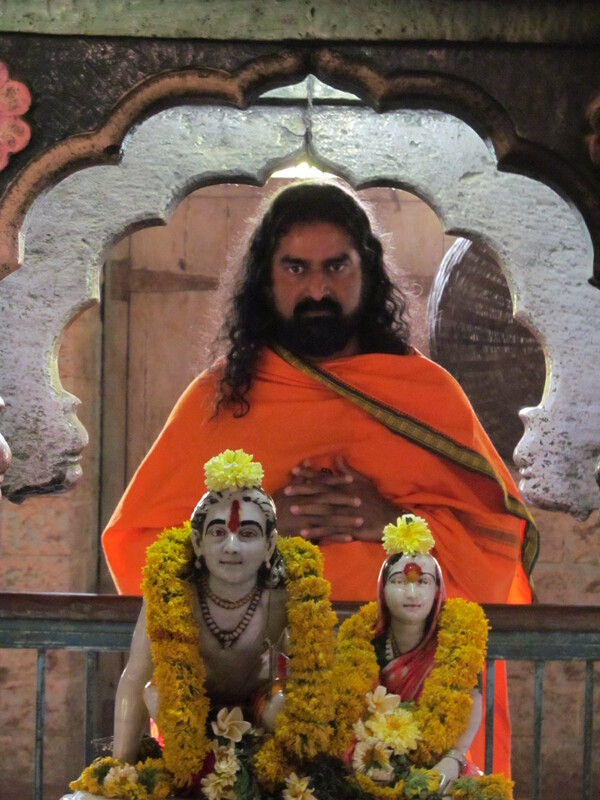 The temple has been blessed by Shree Mohanji to be a shakti-Stanam, a seat of Divine energy or a power center. This can be felt as soon as you enter the temple. The temple is based at 4 Luton Place, Westville North, Durban, South Africa. We have a mediation session at 6:30pm every Tuesday, plus many other programs time to time and all are welcome to attend. Mohanji promised during the opening of Merudanda Ashram that he would always live at the ashram. He publicly promised that this was now one of his seats of energy, and that he would never leave Merudanda. 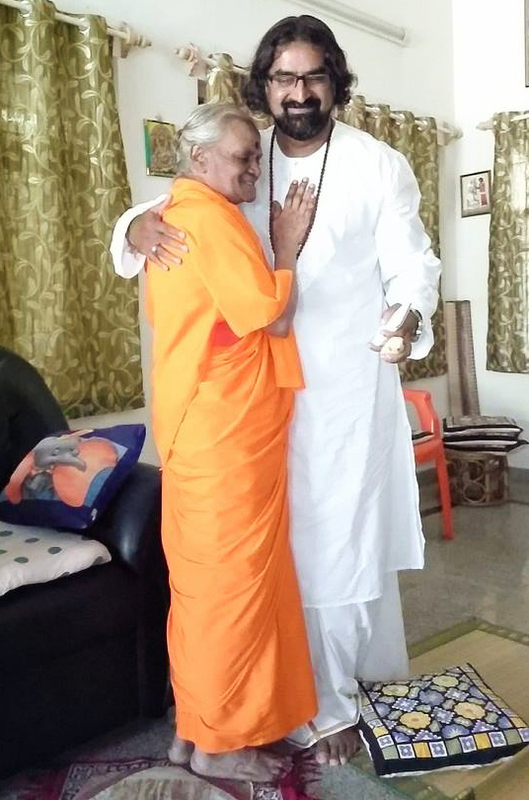 Mohanji also promised that Merudanda would be a place of spiritual, emotional and physical healing and importantly, that his presence would always be felt there. A promise from such a highly evolved Siddha, equal to Shree Bhagawan Datta himself, cannot go unfulfilled.…right? Undoubtedly, I feel his presence at the ashram. While doing the morning Arathi I get the feeling of someone walking around the temple. 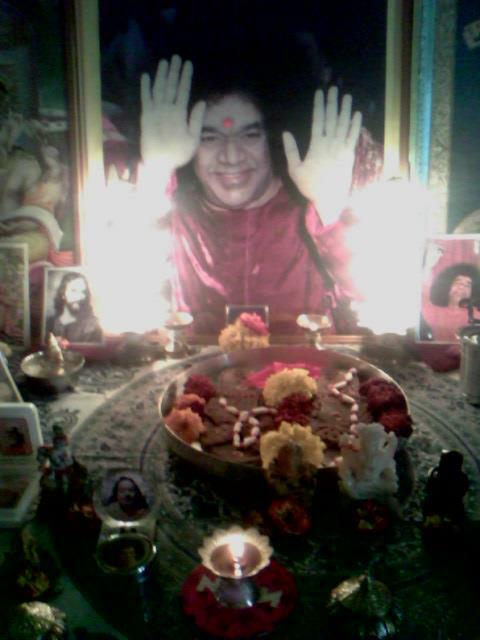 During Power of Purity meditations, I feel Mohanji standing just outside the shrine, looking at us. Whenever a puja is done, I literally feel his body heat in front of me. There are countless times I feel his hand on my head, even the sensation of my hair being pressed down. And of course when I shirk my responsibilities I feel him towering over me and pretending to scold me lol….pretend or not…. That always gets me out of my comfort zone and working again hahaha. But there has always been a question that I have asked myself and I am sure many other people have asked about these experiences. Is it real? Are these genuine experiences? Or is Yashik just mad, or obsessed, or many of the other colorful words I have been called lol!! Is it an overactive imagination, or is it an overactive Guru? And Mohanji must be really really active and operating in a much higher dimension to be everywhere, and most times simultaneously. Well… let’s see… I remember Swami Vivekananda writing about such a question that was posed to Paramahamsa Shri Ramakrishna, and since he is a part of our tradition, I think his response will be valuable. Someone asked Shri Ramakrishna what guarantee is there, that what he experiences with Mother Kali is real. Like Mohanji, she was being experienced everywhere in Dakshineshwar. Like a child he ran to her in the shrine and asked her. And she replied to him. Simply she said, “If it is your imagination there will be no change in you. If it is real, there is a fast noticeable change in you.” No one can doubt the change that devotees who visit the ashram regularly have undergone. I have been told that even family members have said that they have changed so much, that their character is hardly recognisable. I also feel a change in me, one that is very difficult to describe, but I can feel it in my gut. So ….. Is there a permanent change to validate the “MohanJi experience”….that’s a BIG YES. But sometimes the mind needs something more physical. Well, as Mohanji says, “I always do my job”, he gave this proof too. Normally (if I’m feeling well and I wasn’t naughty and slept too late), I get out of bed early to bathe and to wake Mohanji in the Ashram up with the morning arthi and some chanting (His poor ears lol). One day, I was just too tired to wake up, and I decided to sleep in a bit. I was just about to fall off to sleep and the house alarm was set off. I went to look at the keypad to see which zone was activated and I noticed that it was the shrine. I waited a few minutes to see if the sensor light stopped flickering, just in case it was an insect that triggered the alarm. The light stopped flickering and then started flickering again for a while. Clearly someone is in the shrine, walking around, probably there to steal the donation box!! I pressed the panic and the security was summoned. I peeped outside and then stood outside to make sure that no one leaved the temple. The armed response came and the security guard (is that the correct name for those brave men) was ready to apprehend the criminal. With one hand over his firearm, I opened the shrine door………….and no one was there!!!! No one could have left, I was watching and the light on the keypad definitely proved someone was walking in there. Anyway I gave a quick thank you and an apology to the armed response agent (sounds better ), and continued my day. While fast asleep the next morning, the alarm rings again….. there is movement in the shrine. Suddenly I realized that both times the alarm ran at 4:15am….the time I normally try to get out of bed. I checked, and no one was in the shrine. The next day the alarm ran at exactly 4:15am again!! And this continued for an entire week….no beauty sleep for me!! Eventually I messaged Mohanji and told him what was happening. He laughed and said that this was him walking in the shrine!! He jokingly said he knew he was waking me up early, but he would be subtler and would not trigger off the alarm in the morning. The next morning came……and the alarm was not triggered off!! Since then it has not been triggered off by the sensors in the shrine. So it was most definitely Mohanji walking in the shrine in the mornings!! This is absolutely amazing if you think about it. It means that the body he chose to walk in the shrine during that time, had physical properties that could trigger off the alarm sensor!! So NO! This all is not my imagination!! Here is physical proof!! And just for the skeptics, he again showed a physical manifestation of his presence at Merudanda. 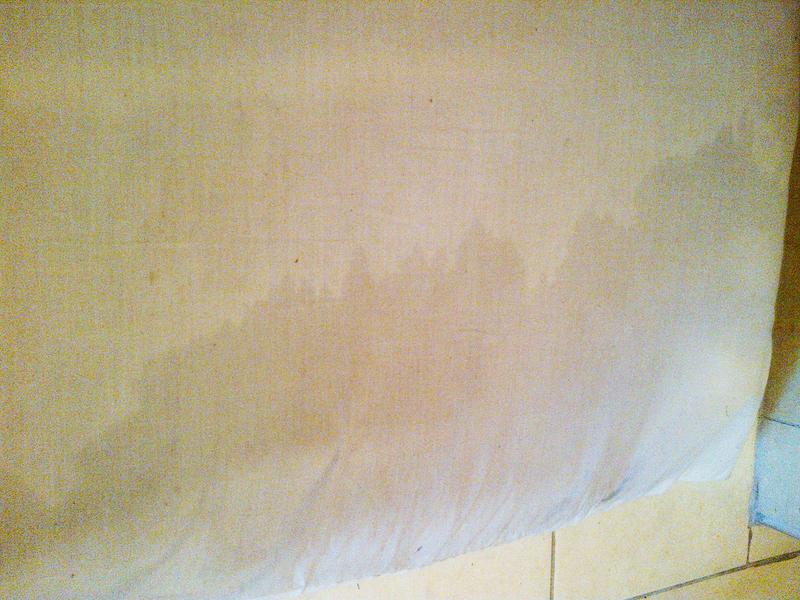 I started to notice drops of water around the temple floor, and my whole asana (the seat I sit on when I pray) was becoming wet. There were no leaks anywhere, no signs of dampness, so where was the water coming from!? I started to notice the water stain starting at the bottom of my asana moving up. So I said in my mind, that if this is something that Mohanji is doing, I would like to see the water stain moving from the top of the asana going down……..and the next day that happened!! After asking Mohanji, he confirmed that this was him. He was sprinkling amrith, the divine nectar, his holy thirtha water, in the shrine!! This has very highly powerful cleaning and purifying properties. He was keeping his space clean! Again, physical evidence that you can perceive!! So in summary, IT IS NOT MY IMAGINATION, IT IS MOHANJI…..(and yes that means I am not mad lol). He is always present at Merudanda, always giving his blessings to everyone who comes to visit him. Mohanji is unassuming and in his own words like to “play the fool” so that many gets disillusioned and will run away. As he says, “Those with faith will understand and stay. I shake the tree a lot. Many leaves are bound to fall, drop and disappear. Let them. Those who are deeply connected to the tree will stay. I take full responsibility of them.” Many people gets distracted by Mohanji’s unassuming, friendly and child-like existence. They fail to see the deep Siddha sitting inside this seeming facade. Mohanji said “More people will know me after I leave this body. Then, there will be many regrets. Just watch”. Merudanda is Mohanji. Mohanji is Merudanda. We remain in service to both in one…. Maybe I’m not eligible to say this, but I’d rather voice my observations and appear silly, than live with the burden of not speaking up when I felt prompted to do so. So many people call Mohanji directly for every little thing, most of which have no depth or definite purpose. When a true bhakta calls from the heart, He appears anyway out of pure love and even gives Darshan in physical form (we have read so many experiences by devotees). He’s the busiest of us all! Not a second is spent idle. He’s operating in multiple dimensions, saving lives, liberating souls, leading various beings to light. His bhaktas are in so many planes of existence… even though sometimes it may appear that He’s attending a casual function or cracking jokes with us. Again, we’ve had numerous testimonials of His non-physical, simultaneous seva and life-saving operations reported by devotees. A lot of these have even been blogged. It’s also true that He doesn’t just spend time with anyone. There is always a larger purpose than what we perceive it to be. Tradition paves the way for Him. He is asked thousands of similar questions by emails, Facebook messages, but each time before most of us even realize what is troubling us, He posts it as a status message (where everyone gets their answers to their satisfaction and no one is left waiting) or as a blog post or a lot of times gives individual signs of the solution to everyone. For Him all are One. All are Alike. All are pieces of God … and He treats everyone just the same with only the most genuine and the purest unconditional love… He is the incarnation of compassion who’s beyond dualities. He blesses and loves even those who detest Him. He’s far beyond being conditional or having any expectations! For Him All are welcome. So many times during important meetings and work-related matters, people keep coming to meet Him… and guess what? He STILL obliges all. He includes everyone in it. At the cost of His own time, his own working space… We have seen it so many times! In fact always! Because how can an embodiment of pure unconditional Love with no ego and only compassion discriminate? 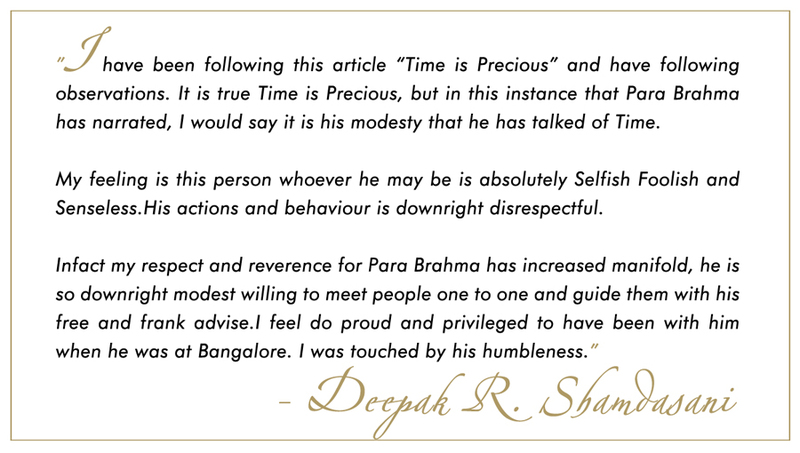 That makes it Our duty to respect His space… His guidance will anyway always come from within our hearts. Let us not forget, Our Guru is completely self-sufficient. It’s US who need Him and not vice versa. Even when Mohanji was working as a CEO for a multinational in Muscat, he still replied to everyone, giving guidance to all, traveling worldwide, conducting satsangs and meditations free of cost, out of pure compassion. He’s never believed in selling spirituality. In days gone past, people practiced Guru Dakshina, giving back to your Guru in whichever way you can, whether it be in kindness, time, money, seva. Any way which suits your constitution. There are people who just by taking His name connect to Him and get everything.. a lot of people have achieved the highest without even meeting Him physically, His consciousness gives us everything! Purity and Faith is all that’s needed to open up to His grace…Just living His teachings. Yet, as Mohanji says,people mail, call and message Him telling Him they want to meet Him but don’t move a finger to make it happen. Most of them fake it and then usually get busy with the worldly life and miss an opportunity to get Darshan of a living Master. Many are not even eligible to meet Him physically, but it’s His big heart, and compassion that He accommodates everyone. It is after lifetimes and lifetimes that we have got the blessing to have Him on the Earth. Now what breaks my heart is when we see Mohanji taking everything upon himself and literally infusing life force into people who had no hope for the future, changing their reality by giving their life a higher meaning, by giving them the energy to face reality, to go through their karma when things get tough, His grace protecting them from storms of life like a stone shelter, releasing them from so many problems… and after receiving all that, they forget about His blessings and attribute this energy to random ideas about spirituality that they have picked up. I’ve seen many go through these positive experiences because of Mohanji and then say that it was their astral connection with their archangels getting stronger! Be aware! ALL exist WITHIN Mohanji. Without consideration of Guru Dakshina, and even after all that grace, they’re still confused as to who their Guru is!! After Mohanji unconditionally gives everything, when it’s time to release His blessing in the form of time/seva/dakshina etc, people question, “Is He my Guru?” Ugh!! I’ve seen Him take cancers on himself and burn them, incurable diseases on himself, people’s lifetimes of karmic trash on himself and burn it… In fact a lot of us have seen Him do that. He has to suffer that. His physical body has to suffer that, even if for Him it’s burning in just a few minutes/seconds, it does affect His lifetime on Earth. Yet once healed and cured, people find hundreds of excuses to forget this grace, let alone spread it to the world. Excuses like, “I wish to be in silence, I don’t like to post pictures of seva, so I don’t want to do the seva, I did a course on… the other day, maybe it’s that which is making me all spiritually tuned”. And Guru’s grace is completely ignored. How we take His time and presence on the Earth for granted! Those who are feeling the transformation and His energy will feel blocked if they’re not letting it out and contributing and spreading the love. I do so many times when I’m super busy and can’t do any seva. I feel stagnant because He is infusing us with His energy all the time and I’m not able to let it out and spread it. Those times I really pray to Him and try to surrender more and more… Those times, He always, always, always and always answers that internal call from the heart and the block is removed. Those who cannot connect to His consciousness while He is in body will find it challenging to understand the path once He expands beyond His physical body. Mohanji is indeed a force… a force brighter than a thousand suns which you feel inside your heart… which will be ever so active even when He’s beyond His body. He doesn’t need a language to communicate to our physical presence nor us. All our thoughts exist within Him, so telling Him our plans is a silly and frail idea! 😉 Formalities and Being inauthentic with Him is deluding our own self! Full Faith or Zero Faith! As He always says, being genuine is worth it! My life is an example of His unlimited grace.A recent example is me shifting to another city alone, with no job in hand, limited time & savings.. only in complete Faith. Since 2013 beginning, several changes started happening and I started feeling a strong urge to move out of the city- Delhi, I happened to share this with Mohanji and He completely supported the idea and blessed me. 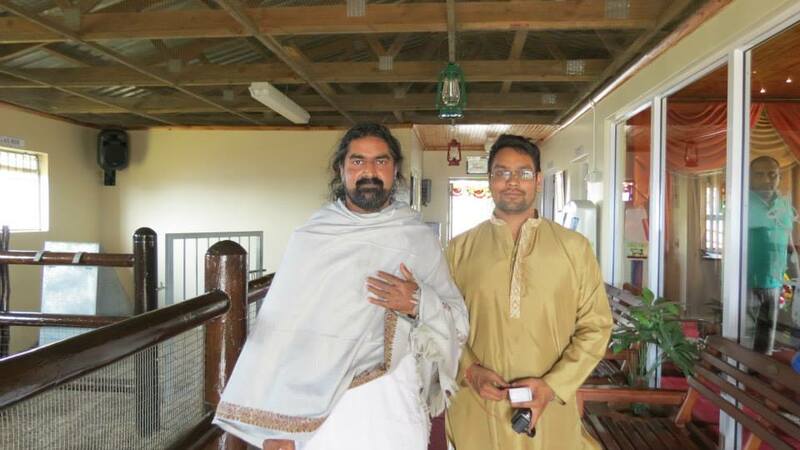 Mohanji asked me to stay at His Pune Ashram and take care of it. I tried to avoid it, but After Him repeating that strongly, I got His message and just went with the flow. 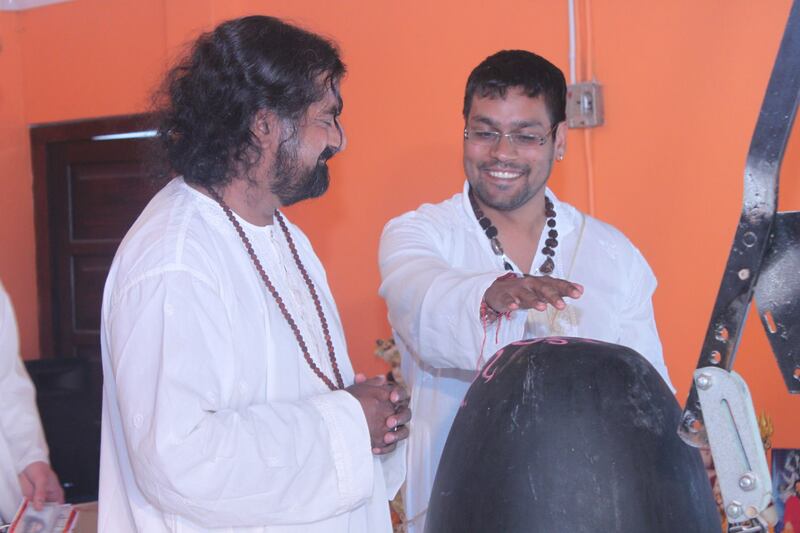 Just like hat, He converted me into an Ashramite. We started meditations here. All He asked me to do was to be flexible. I had no expectations from Him (and pray to remain without expectations all my life), but I knew for a fact before shifting that His grace would get me a job soon. I was certain. Within a week I got the job as a senior fine art teacher in a good school, while the only opening they had was for a junior one! When I was given the official letter a month later after joining, my salary had increased than what they had told me during appointment! It was the exact salary I’d mentioned to Mohanji that was ok for me when I met Him in Delhi. Another experience was yesterday during blanket distribution, which you can read here. There is no dearth of devotee experiences where Mohanji is saving lives, liberating them, protecting them while being physically present somewhere else. We are living in a time where everything intangible such as spirituality is ridiculed or condemned. Saints and holy men are crucified. People have become addicted to scandals, craving for it. Saints are disrespected. This is a clear sign of the decay of the society. Instead of using the teachings of saints for personal elevation, people destroy the guru principle in themselves by scandalizing saints and expressing ingratitude. Pretentious morality is more highlighted than valuable teachings. Many people come for personal advantages. If they fail in achieving that, they go out and complain or scandalize. They contaminate the minds of people. Many people are prejudiced towards the saints due to the scandals the media has profusely published. There is a statistics that 380 hours was spent by media to cover the Shankaracharya’s scandal. When the court could not find any fault and acquitted him, total time spent for covering that news was 3 minutes! Hence common man is biased. They would not see the truth. They will only see the negative publicity! Please forgive me if this was too honest, but the way some people pretend in front of Master, wasting His precious moments on the Earth, is so disheartening that I just really needed to share this today. 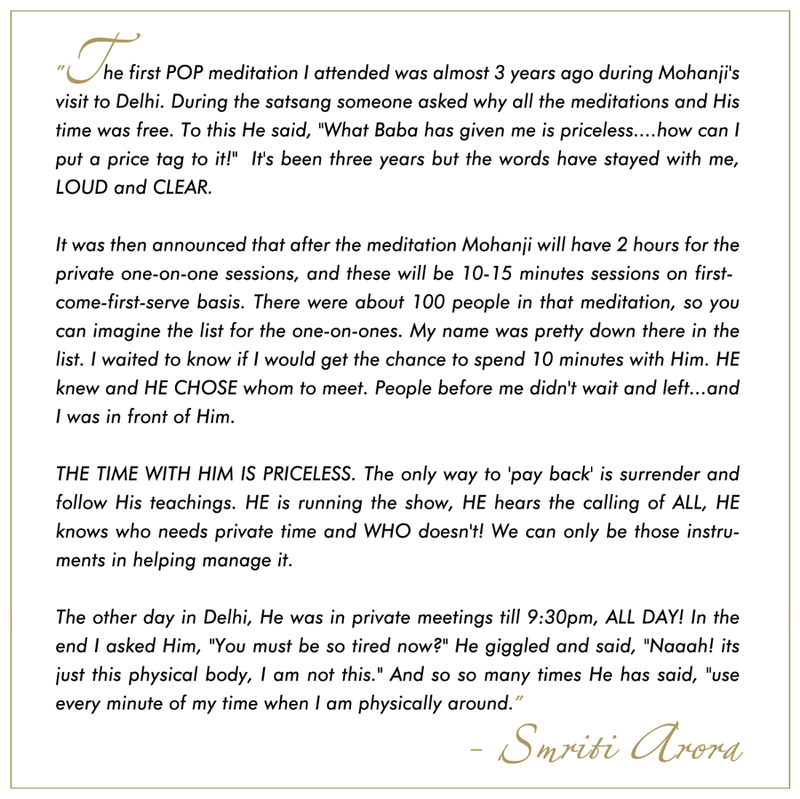 This blog has been inspired by Mohanji’s message Time is Precious. Well, this is probably a question we all have asked ourselves at some point or another. What does Mohanji want? What can I give to him that will make him happy? I too find myself asking that from time to time. It’s good to never be complacent, always assess your standing and to make an effort to be grateful and thankful to one’s Guru. But at the same time, we should not get caught in what is unimportant and forget the true value of what makes great Masters, like Mohanji, happy. I have found myself in a position were all my finances were spent, and there was still so much more work to be done at Mohanji’s Merudanda Ashram in Durban, South Africa. The latest project is the installation of the Shree Vasuki Dev, the Naga Raaja, or King of the Naagas. As the guardian of Merudanda Ashram, I thought it would be fitting to have him seated right in front of the Ashram, in a place of prominence. Of course a seat needed to be built so that he could be seated a bit higher up. The problem now became finances. I was not in a position to procure any more tiles, bricks, cement, and to employ someone to build the structure and to tile it. I certainly did not have any cash to also employ someone to till the ground around Shree Vasuki Ji. So I decided to do it myself. There were a few loose building materials left over from the temple construction and I decided to use that. 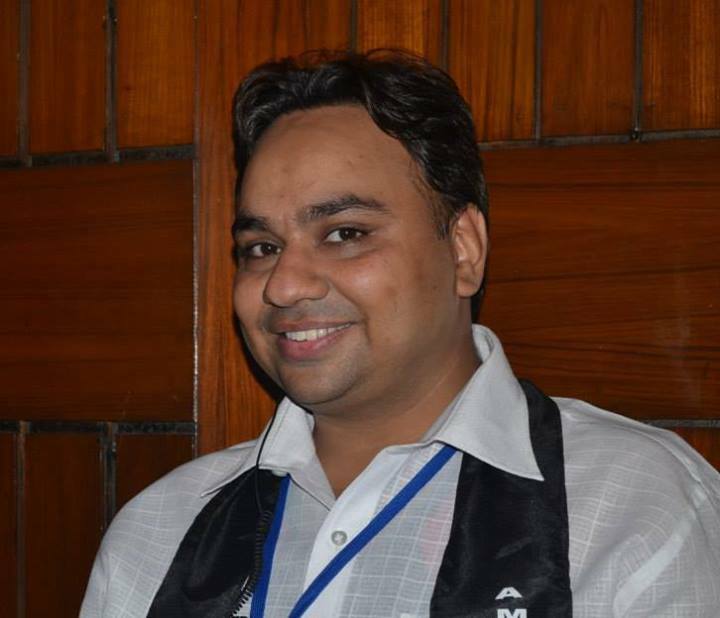 I spoke to my friend, Ajay Singh, about what I wanted to do and he kindly offered me help. So the work began. Tilling the soil, mixing cement, laying bricks, sticking the tiles, trying to cut the tiles….this was really hard work for us, especially since both of us are not builders. There were times when both of us where on our hands and knees on the floor from exhaustion, just trying to catch our breath. Eventually the pedestal was 80% done, and I looked at the job and became a bit sad. I spoke to Ajay and told him that I did a very untidy job. The tiles are not straight, it’s not cut properly, Ajay worked so hard to help and I could not do this properly etc etc, and how can I offer something like this to Mohanji! I told Ajay that people offer Mohanji such big things. I have seen people offer Mohanji’s mission large amounts of money which all is used for serving the needy, people make so much of food to feed the hungry etc and I could not even make a simple pedestal. At that very point in time, Ajay felt something on this neck………a flower fell on him. I took a step towards him to see it and a noticed a flower on my right foot. This was odd, how can two flowers fall on and around us at the same time. 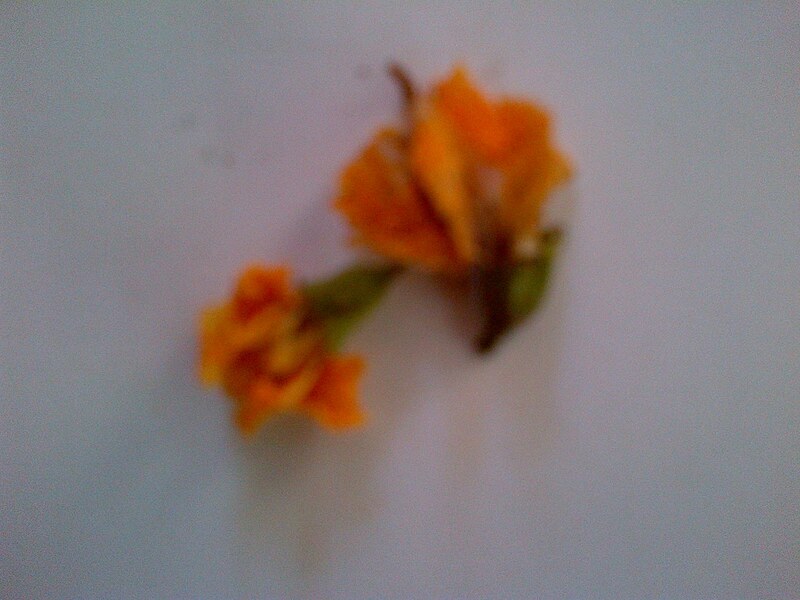 So we looked at these flowers and they were exactly the same…..a small yellow-orange flower. 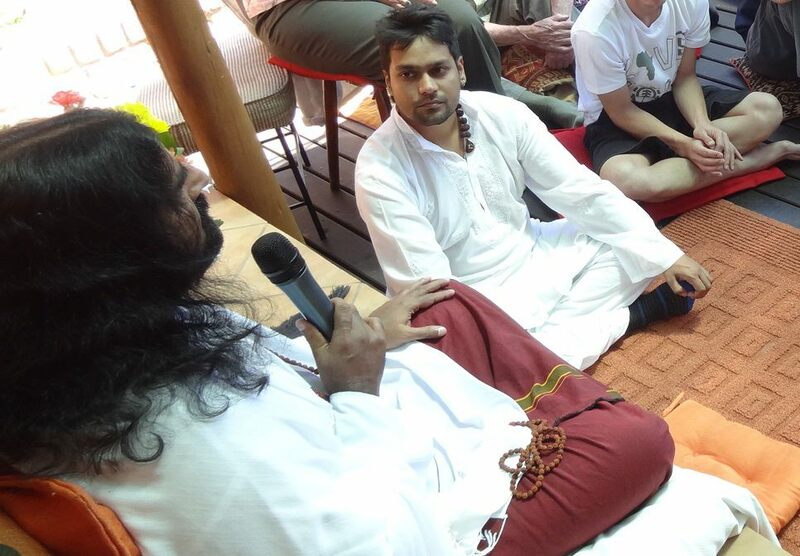 We both took a walk in the entire Ashram yard and looked at every plant and tree……….and this flower does not grow in the ashram premises!!! 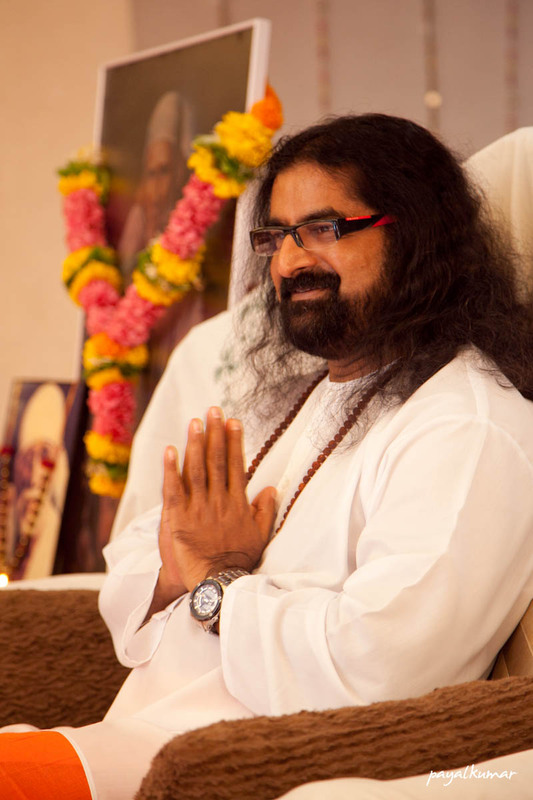 We also looked on the floor to see if we could find any more flowers that may have just been carried there by the wind……….and in the entire Ashram premises there was not a single flower like the ones that fell on Ajay’s neck and my foot anywhere on the floor. Where did these two flowers come from?? Suddenly it dawned on me…..MOHANJI!! He wanted us to know that he is with us, near us, and he sees everything that we are doing. He had promised that we will feel his presence in Merudanda and he always keeps his promise! He wanted us to know that the most important thing to him, is not how straight the tiles are, but only the love and devotion that the act of building the pedestal was done in. After I messaged my gratitude to Guru Dev Mohanji, he promptly replied and confirmed this. He said: “I want to tell you that your bhav or attitude of surrender makes me very happy. I wanted to prove to you that every thought of yours is known to me”. So at the end of the day, it is surrender and love that Mohanji wants…..not the expensive outward gifts or the big shows of emotion. He wants simple love and surrender, which becomes a state of being rather and an expression of action. So why does Guruji want surrender and love from us. Does he want to amass mindless devotees that are at his beck and call. No! Mohanji wants us to have surrender and love, because it is for your own good. If we have an attitude of surrender and love, we will be egoless, empty and he will be able to help us progress spiritually faster, through our own lifestyle, Shaktipat and by working his energy in us. So again, even this surrender and love is not for him….it is for our own benefit. When a devotee sheds his ego, he becomes lighter and raises himself in spirituality. Guru is ego-less. A true Guru nullifies the ego of his disciples and raises him up from terrestrial bindings to ultimate liberation. Ego is the wall between man and god. It is not at all in how much chanting or how much activities we do; it is in our attitude or bhaav towards our guru or in other words the depth of our ego nullification that we gain spiritually the most. A man who approaches a Guru with his ego gets nothing from him. And this was shown to me two other times during this time. While sitting in the ashram on a Wednesday night, I mentally asked Mohanji for some ashes and something nice from Shree Satya Sai and Shirdi Sai Baba. The very next Friday, a very sweet uncle, who came for his first POP mediation, brought a packet full of ashes from Swami in Prashanthi Nilayam and a wonderful sweet offered onto Swami’s Samadhistan!!! Mohanji listens to our every thought! I also mentally asked Mohanji and Shree Vasukidev for a sign that Shree Vasuki Ji will live in the Ashram and protect everyone that comes to Merudanda. I asked to see a real snake the day that the Naga Baba is brought to the ashram. And true to his word, Mohanji listened!! Vickasen very kindly used his awesome van and helped bring and place Shree Vasukidev on his seat at Merudanda. He then showed me that there was a real snake, the same colour that Shree Vasuki Ji was painted, at the entrance of the Ashram. All our genuine, unselfish wishes that we convey to Mohanji even in mind will never go unattended. He fulfills our every desire. I did not verbally convey the desire to see the real Vasuki dev to Mohanji. Yet, he listened and fulfilled my desire. In face we never discussed the arrival of Vasuki dev or any other things to Mohanji verbally. Our physical communication is very limited. 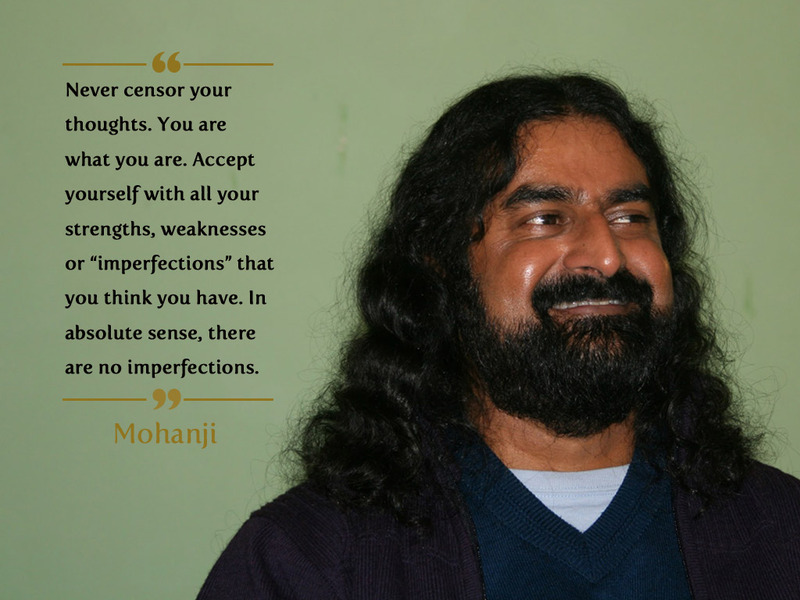 Mohanji is more than just what people call “Guru” nowadays. He is not just an achariya or someone that has been trained in religion or religious books. He is more than someone that just does prayers or gives speeches and discourses. Mohanji is a true Guru, he changes lives if you are open and surrendered!! He never forces anything on anybody. He fulfills desires in every way possible. You may not even know or notice the inner changes that takes place with his grace, because he makes his presence so subtle and unassuming, but the changes are massive and over a short period of time. And what does he want in return………. well at the end of the day…..he wants nothing for himself!! He gives and gives and gives as a pure source! On New Year’s day, we decided to do Blanket Distribution in Pune. I’m new here, live alone and haven’t bought a vehicle yet. I also know very few people here and my friend Kirti with whom I’ve distributed blankets, was out of the town. However, she had another friend Nikhil, a noble soul, who was drawn to this seva. As decided, 1st January was the blanket distribution night. I happened to mention it to Mohanji that we were going for the distribution. He wished us good luck and said HE was with me. And we all know that when He says it, He means it more than we know or understand with our unidimensional approach. What to say next, Grace FLOWED! HE was actually with me… I could feel the consciousness engulfing me… inside my whole body, my spine, I could feel Mohanji looking through my eyes for the needy homeless people on the road out in the cold without blankets or with very thin ones. I kept seeing signs like Sai Baba’s statue, Dogs, and could feel His consciousness as nudges in my spine so strongly… mostly I could feel Him looking though my eyes as if I was just a robot who was being guided. I wanted to take video footage during the distribution… we were two people carrying blankets on a bike at night (yes, Pune is a bike-friendly city where bikes/scooties are the most popular means of commuting… I’ve always done distribution in Delhi with a larger group sitting safely inside a car before)… But in my entire 3 years of blanket distribution this was the first time where excellent shots could be taken. No disruption. In fact at one time, the light was very low and not much was visible in the video, at that moment a truck came and light fell on the distribution taking place for exactly that much time. I couldn’t ask for more signs of Mohanji being with us. Nikhil, was extra cooperative. That certainly happens when Mohanji’s consciousness is at work. How can one see this and not give? A lot of people feel awkward taking pictures of the seva… But the domino effect of that is so powerful and triggers compassion in so many hearts that each picture or experience shared is worth it… much more than hundreds of pictures we share of our parties! Sharing the blanket distribution video the blanket distribution video which was made last year. 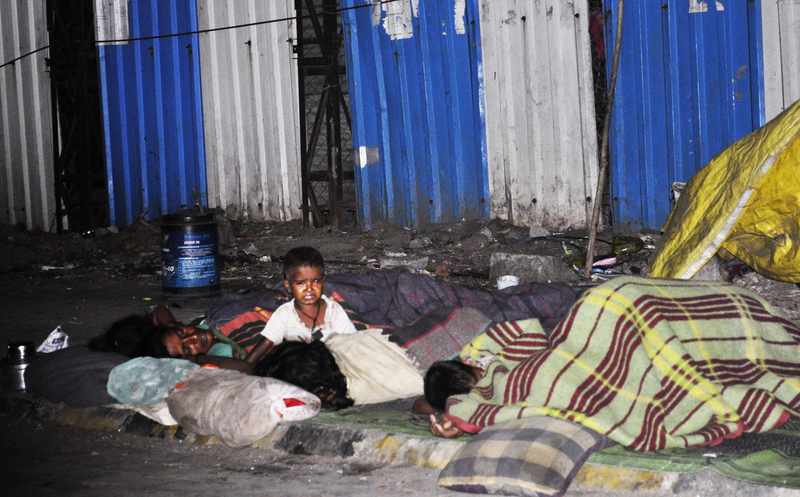 We were led to places where we could cover all the truly needy ones on the roadside at night. When I came back I HAD to thank Mohanji for His unfathomable grace. Our sweetest undefinable Master replied,”I told you I am coming with you. Now drink some water. I was with you.” Mohanji always keeps his word ;). 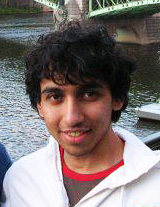 Nikhil kept thanking me for the seva and I kept thanking him! And we both kept thanking all the people on the road for receiving the seva!! He, he, that usually happens when we do seva, we don’t know if we’re doing it for others or for ourselves because the joy we receive from it is too profound and completely transforming. The giver and receiver become one. 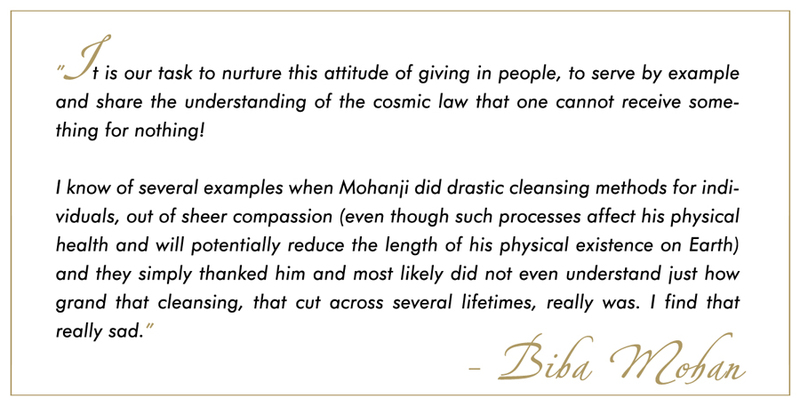 Mohanji has written the Blog The Art of Giving which had opened up whole new dimensions of seva for me. Most of all, gratitude to our Father, holding us ever so firmly… making all of this possible with no limits to the love and compassion He has for all beings. This is just a tiny sharing I really felt like doing with everyone, but all volunteers have had countless transformative experiences filled with grace during each seva. One chilly winter night in Delhi, I felt the urge to step out of the house after dinner and take a ride on my scooter. Though it is unusual of me to do so, I followed the urge. I asked my sister-in-law not to lock the house (as it was getting late) and told her I would be back shortly. The moment I was out of the locality I live in, I felt as if a force had taken over me and I wasn’t driving anymore. It was all at a conscious level. I was completely aware that something unusual was in the process and that I had to allow it to happen. In those days, the Delhi blanket distribution program was in full swing. Earlier during the day I had been thinking about how I wished to contribute, but did not have enough money to do so. Even at that moment, when I stepped out of my house that night, I only had Rs.300 in my pocket. I continued my journey, with Mohanji’s consciousness guiding me, and soon I saw a group of rickshaw-pullers sleeping by the road. I mentally asked Mohanji if I should give the blanket to them. I received an answer. “NO, they already have. Also there are too many of them, they will be all over you. Move ahead”. I drove another 5 kms before I received the guidance to stop. I was urged to look at my left. There it was! 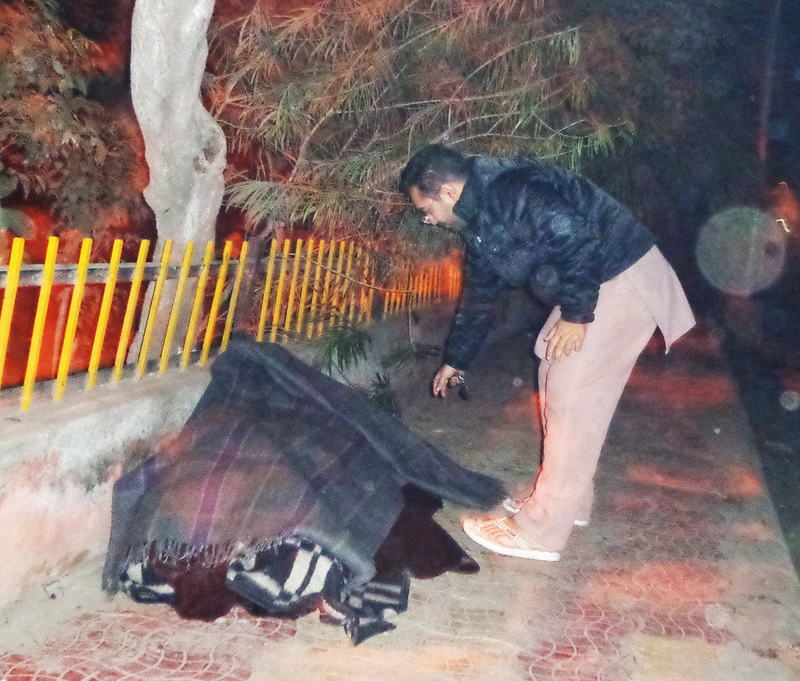 A man was lying by the roadside, with no covers, no warm clothes, in that bitter cold Delhi night! I covered him with that blanket, without realizing that tears were streaming through my eyes. I started my journey back home. Even today I have no memory of my ride back home, as if someone had driven me back. I was not aware. I reached home and the moment I looked at the fuel meter, THE NEEDLE HAD NOT MOVED! No fuel spent. I drove over 25kms, and NO FUEL WAS CONSUMED! My tears didn’t stop that night. My desire to contribute to the blanket distribution was fulfilled! All His Grace. Gratitude Dear Master! 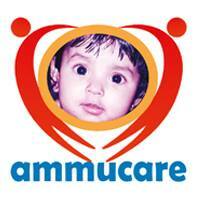 Ammucare Charitable Trust, is an Indian Charity founded by Mohanji in 2003 in honour of his daughter Ammu who passed away at the age of four. It is through the love that continuously flows through ACT that little Ammu indeed lives on. As of 2012, ACT spread internationally under the name of ACT Foundation which operates in a growing number of countries across Africa, Asia, Europe and USA.